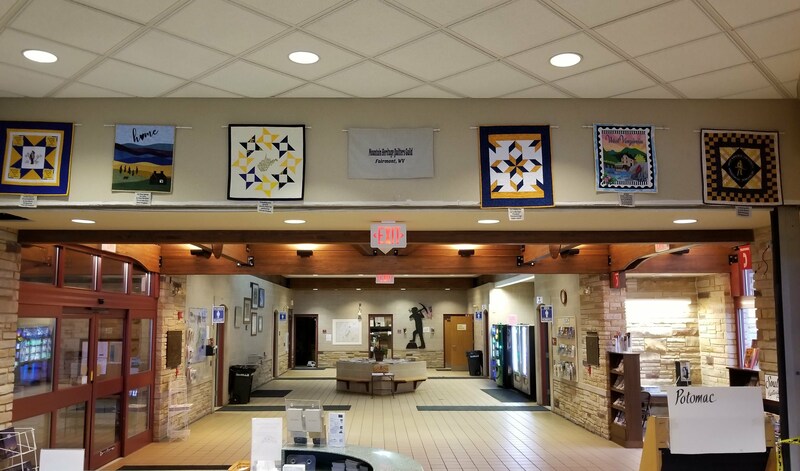 The I-68 WV Welcome Center, Bruceton Mills, WV and Mountain Heritage Quilters Guild, the 2nd oldest Quilt Guild in West Virginia, teamed up to add a unique exhibit of wall quilts for traveler's enjoyment and to say "Welcome to West Virginia". 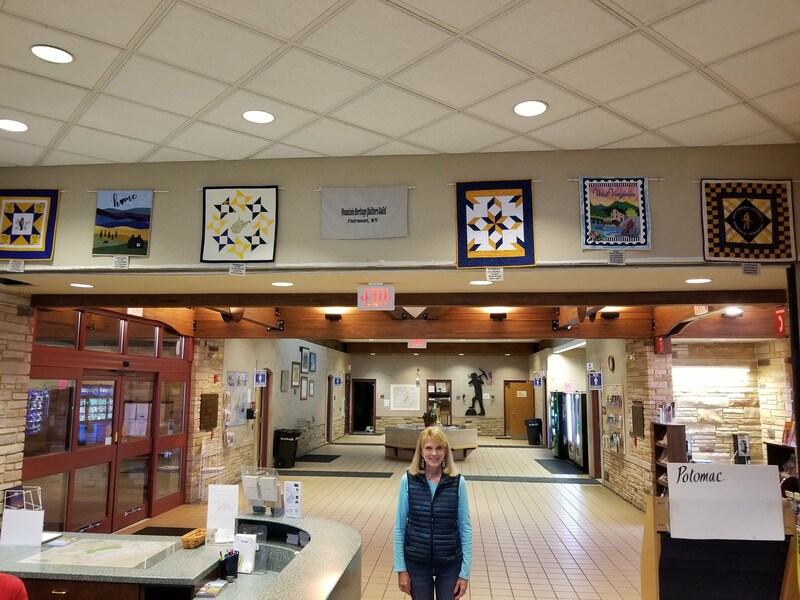 Six wall quilts representing West Virginia's warmth and friendship have just been added to the existing I-68 West Virginia Welcome Center display of artifacts. These West Virginia themed quilts showcase the rich heritage and history of Appalachian quilting traditions. The next time you are traveling and looking for that special road trip, make the I-68 Welcome Center your destination ... definitely a "must see"!!! Quilters participating include: Deborah McAteer, chair of this outreach project; Cathy Maxwell, Susanne Morris, Donna Merrifield, Jeannie Zinn, and Lynda Sago. (Left to Right with the WV themed wall quilt each quilter created) L. Sago, Cathy M., Debbie Mc., Jeannie Z., Donna M., and Susanne M.
with fellow quilters ... Rhonda B.